I know. You’re wondering, “Why do I need to read a something from a plumbing company when I don’t have any plumbing problems?” That’s just it. Most plumbing nightmares start slowly, silently ruining property before homeowners are even aware there’s a problem. That’s why nearly 90% of our calls are “emergencies”. Just like every other aspect of your home, your home’s plumbing system ages, too. Connections get loose. Plumbing lines fail. Many problems are hidden from view. 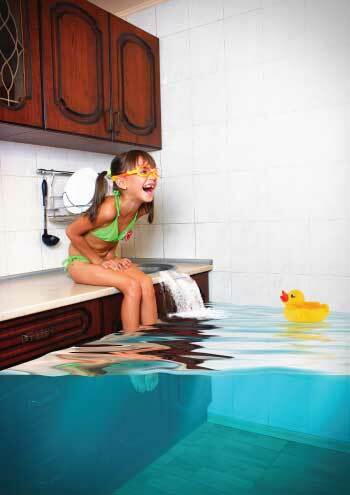 When leaks occur, water flows between walls, in ceilings, below floors… anyplace it can flow. And if this water reaches your electrical outlets or turns into toxic mold, it is potentially deadly for you and your family. You can avoid this disaster for free. You read right, absolutely free! We offer a free two-step plumbing inspection. We’ll send an efficient, skilled plumbing technician to check your home’s plumbing. He or she will inspect everything from pipes and faucets to supply lines, water pressure and toilets. We give you a written report of our findings, and even give you suggestions with no obligation or cost to you. Why are we doing this? Mainly to build our name and to gather research on homes in the area. Plus, if we do a good job with your free inspection, it is our hope that you’ll call us in the future. But for now, just enjoy the free inspection and peace of mind it provides. We know you’re thinking, “There must be a catch.” Well there is. We can only offer 15 free home inspections. So fill out this form online, email us or give us a call at 244-3275 today for your free no-obligation inspection.